Reports from Amazon, McDonald's, and iRobot are some of the most anticipated earnings announcements set to publish over the next few trading days. Stocks inched higher last week to rebound slightly from the prior week's sharp drop. 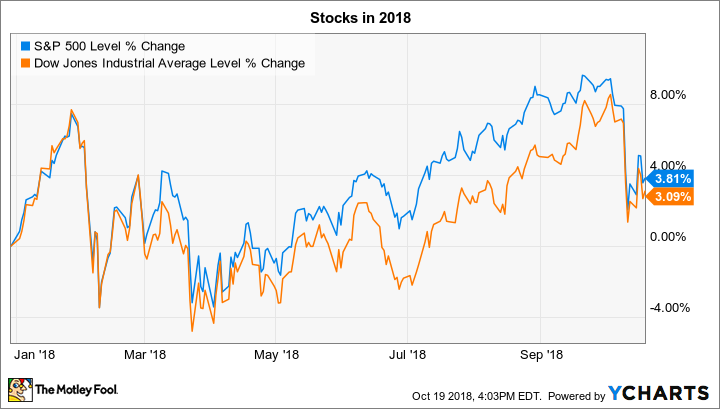 That left both the S&P 500 (SNPINDEX:^GSPC) and the Dow Jones Industrial Average (DJINDICES:^DJI) below record highs, but still up more than 3% so far this year. Hundreds of companies are set to post third-quarter earnings reports over the next week. Below, we'll take a closer look at the announcements that could send shares of McDonald's (NYSE:MCD), iRobot (NASDAQ:IRBT), and Amazon (NASDAQ:AMZN) moving in the trading days ahead.